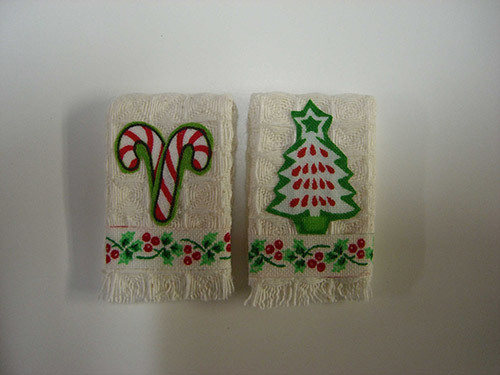 This super cute candy canes & Christmas tree white towel set are done in 1:12 scale. The miniature dollhouse bathroom or kitchen towel set are a woven cloth, adorned with decorations. These pre-folded (glued edges) measure about 1.5 inches long by about 0.86 inches wide. 2 towels per pack, one of each style. 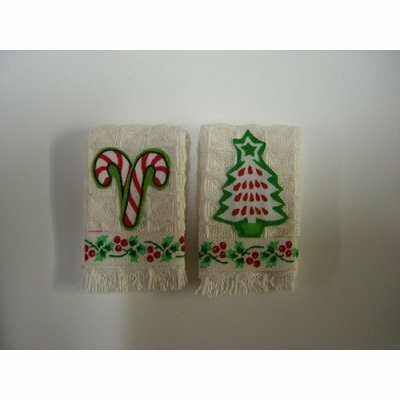 This Towel Set - Candy Canes & Christmas Tree is supplied by Handcrafted Miniatures By Barb, which generally ships within 1 business day(s) of you placing your order .